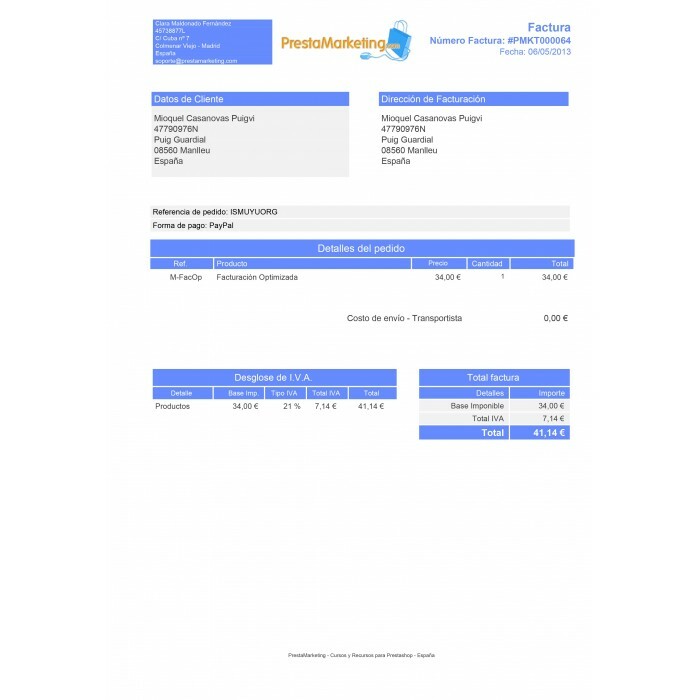 Get your spanish invoice model 100% legal ready in minutes, customized with the colors of your brand or logo. 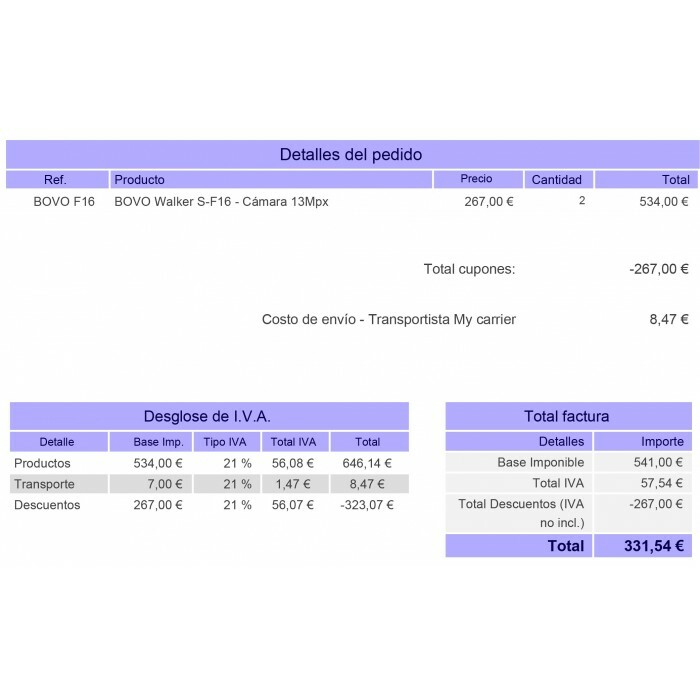 Breakdown of discounts, transportation and packaging, if available in the order. 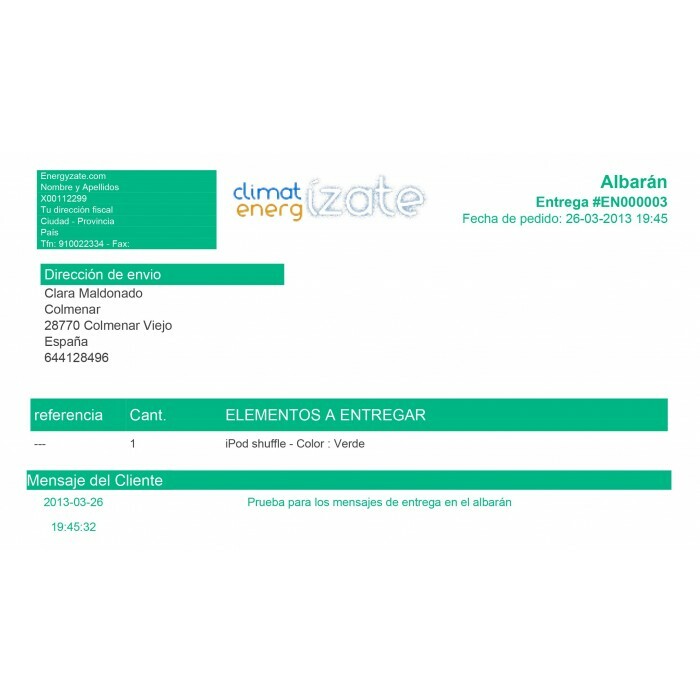 Specially thinked for spanish merchants: meets the standards for the Spanish accounting, so you can submit these invoices directly to your accounting manager. 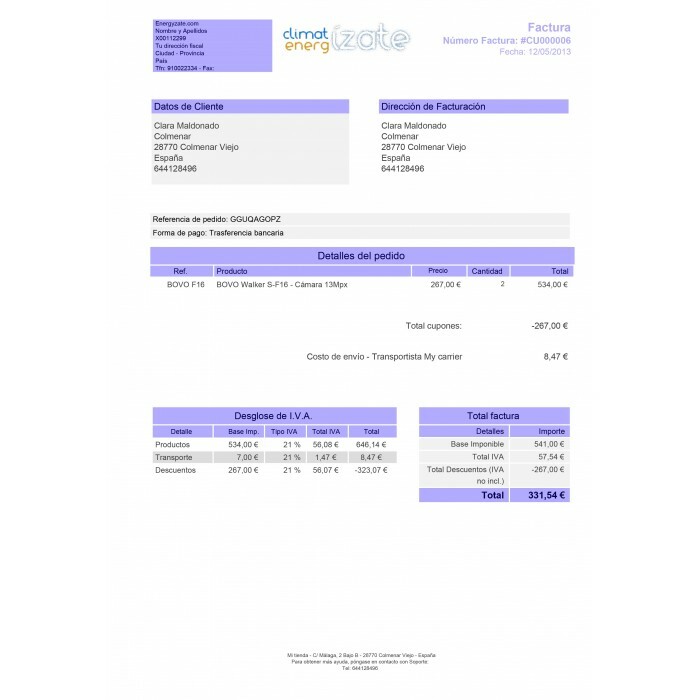 Please, follow the PDF tutorial step by step to ensure a perfect PDF print of your invoices. 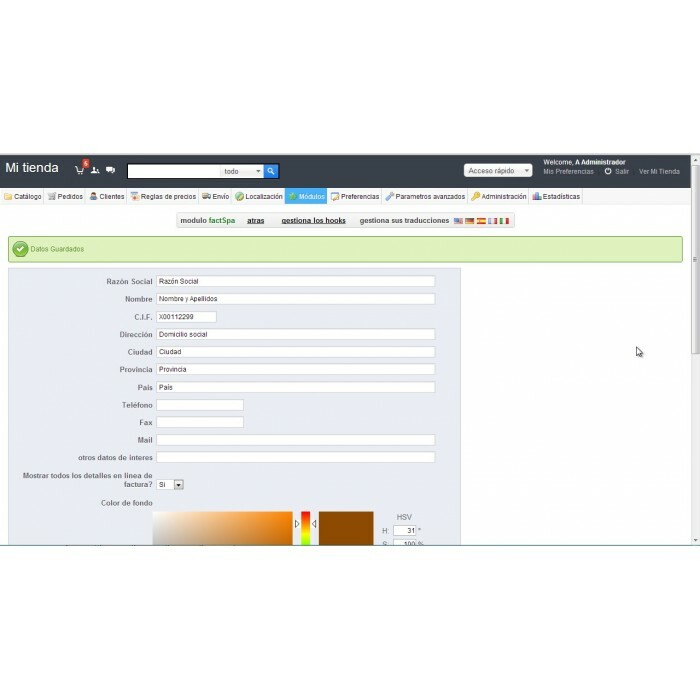 Intuitive installation and configuration, like any Prestashop module.